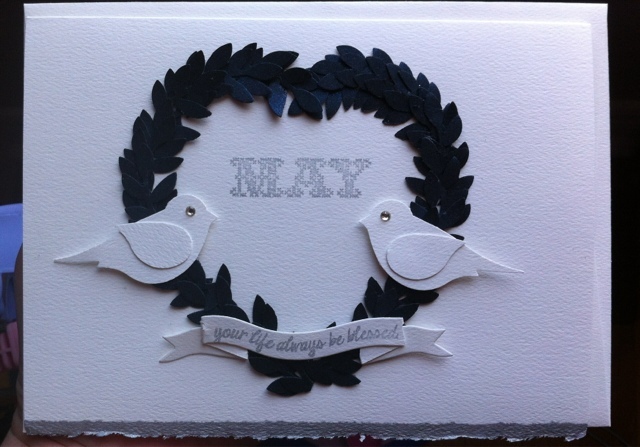 This card = labour of love ! Lots of punched branches, lots of glue and sticky fingers, lots of snipping with scissors and a whole lot of love. 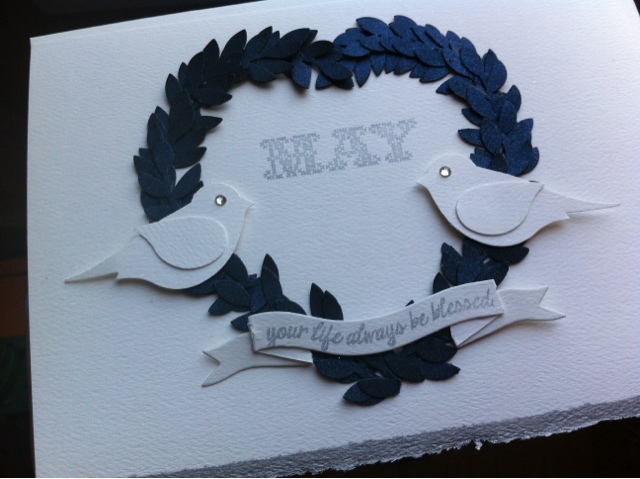 Special wedding card for a special couple. Used some hoarded products ( silver edged notecards, blue shimmer cardstock ) and I lived! Imagine that!! You left me the kindest comment on my 'balloon riding rabbits'. You also know something about laboring over your craft! This wreath is amazing, and that's because you spent all that time making it just the way you wanted it, without taking short cuts. This card deserves more attention, but it is hard to share if you're not participating in a structured challenge of some kind. I can't begin to figure out how you even found my post, for instance. Do you post your cards on Papertrey's Forum? Well, thanks again for the comment, so that I got a chance to visit your lovely site. Happy Spring!